Because of Russian actions, more than three million Ukrainians have fled the Donbas and Crimea either to other parts of Ukraine thus becoming internally displaced persons or to Russia and other countries, a number that is “much larger than” the refugee flow into Europe from the Middle East, Yevgeny Kiselyov says. In a post on Ekho Moskvy today, the Kyiv-based Russian journalist says that he was recently asked by a Russian journalist whether the October 25 Ukrainian elections would lead to an improvement in Ukrainian-Russian relations. He answered the question but doubting the journalist would use his answer is repeating his words on his blog. Specifically, Kiselyov said, “the improvement of relations between Ukraine and Russia does not depend on Ukraine.” Ukraine didn’t spoil them; Russia did by seeking to block Ukraine’s choice to turn to Europe. 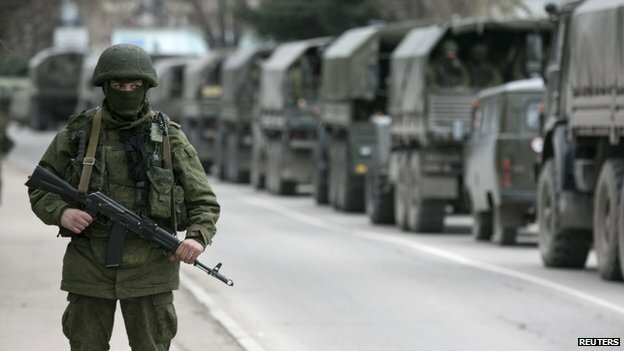 Russia in fact is responsible for the fact that a revolution took place in Ukraine and pro-Western forces came to power. Then, Moscow compounded that mistake by seizing and annexing Ukraine’s Crimea and starting a war in the Donbas, backing the separatists and intervening with its own military when the separatists were losing, killing and wounding “tens of thousands of Ukrainians” and driving millions from their homes. Moreover, he writes, “Russia with the help of the Kremlin-controlled mass media for a year and a half promoted and exacerbated anti-Ukrainian attitudes.” But what is striking is the Ukrainians have not ceased to have more or less positive feelings about Russians even though they have the most negative ones about the Putin regime. 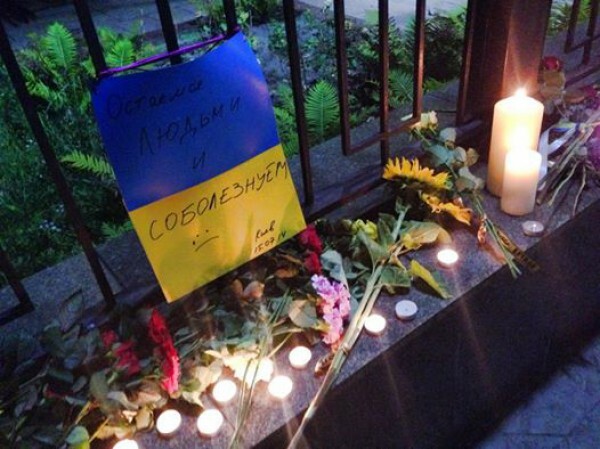 Their positive feelings were on display this past weekend when Ukrainians brought flowers to the Russian embassy in Kyiv to express their sympathy after the Russian air crash in the Sinai, Egypt. But their hostility to the Russian regime and to Vladimir Putin personally is so great that even formerly pro-Moscow Ukrainian politicians hide that as if it were an unmentionable disease. The only way things can change, Kiselyov says, is if there is a radical shift in Russia’s foreign policy, “a return to the status quote which existed before February 20, 2014.” But even then it will take “years if not decades” for attitudes to change. Unfortunately, in recent days, Moscow has shown it has no interest in improving relations. Moscow is threatening to impose sanctions on Ukraine in January. It has ended the special regime for Ukrainians in Russia who fled the fighting. It has raided the Ukrainian library in Moscow. And it has continued its anti-Ukrainian propaganda and its attacks on anyone who criticizes Putin for what he has done.